We believe that a referral from a happy and satisfied client is the greatest compliment we can receive. 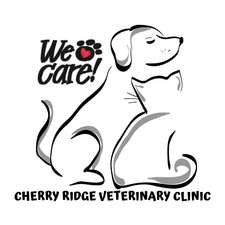 Here at The Cherry Ridge Veterinary Clinic our daily passion is to exceed your expectations. That’s why we have created the “client referral program”, which recognizes the importance of your opinions and recommendations and provides a reward for sending new, qualified referrals our way. We hope to use this program as a way to get to know our valued clients on a more personal level and to show our gratitude for choosing us as your trusted source for all of your pet care needs. We greatly value the relationship we have with you and your pet and consider your pet’s as part of our CRVC family. 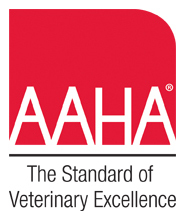 When you recommend us to other pet owners who value and desire our commitment to quality pet care, we want to express our genuine appreciation for your confidence in our practice and team. We’ll show you our thanks by giving you $10.00 in savings toward any of our quality pet care products or services! It’s that simple. Each time someone mentions your referral, we’ll send you a $10.00 credit. Thank you for the privilege of serving you and your pet. We love to reward our loyal clients. To be eligible to participate in Cherry Ridge Veterinary Clinics “client referral program”, you must be a current, active CRVC client. For the purpose of this program, a client is considered to be “active” if they have had at least one office call in the last 12 months. A “new” client is defined as someone who has never visited CRVC. Stop in anytime and pick up some of our referral cards or e-mail us at [email protected] and we will mail some out to you. We are very proud of the care that our staff delivers here and we think you will be too!